Utricuiaria graminifoiia belongs to the bladderwort-family. All the plants in this family are insect eating, perennial water and marsh plants. Bladder traps are a unique feature of this family, which Utricuiaria graminifoiia forms after a short period of time in the aquarium. 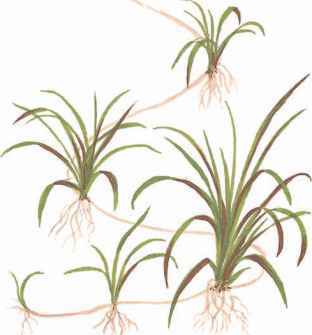 The species name means 'with grass like leaves' and the fresh green leaves after a short period of time form a pretty mat which looks like a lawn. Utricuiaria graminifoiia is therefore an ideal foreground plant. Small foreground plants for aquariums are in short supply, but Echinodorus tenellus is one of the best. 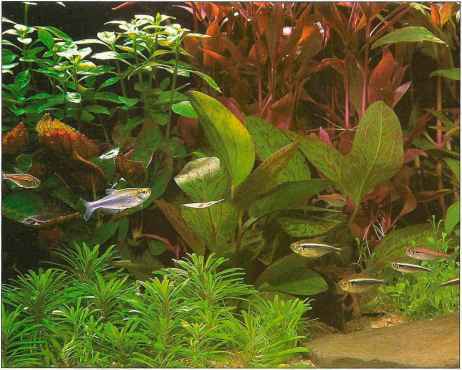 The runners spread round the aquarium, and growth is more compact when planted in a pot or between stones or other objects. 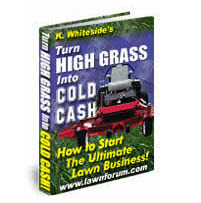 A true ''lawn'' effect is only achieved at high light intensities, so you must make sure larger plants do not overshadow the plant. Plant individual plants a couple of centimetres apart (easiest with tweezers). A nutritious bottom promotes growth. The main thrust of this model design is to create a lawn of seaweed. Live rock, therefore, should be limited to a small amount for biofiltration purposes, placed so as to obscure the filter equipment. Set the tank up and make sure the seaweeds are growing well before you add the slug. 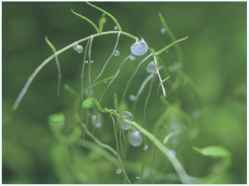 The algae snails should help control growth that develops on the glass and should not harm the larger seaweeds intended for Elysia. This group includes critters placed into the tank primarily for algae control. Snails and small hermit crabs constitute the lawn-care patrol. Sea urchins also feed on algae but are not above munching a piece of shrimp unnoticed by the fish. Larger invertebrates that need a steady diet of algae will eat fresh or dried seaweed or frozen foods containing a high proportion of green matter.